In this day and age of technology, gadget is now a necessity for daily living. My kids would always fight over the iPad on whose turn is it and the only way to make them stop is to take the iPad away and let them play for real! 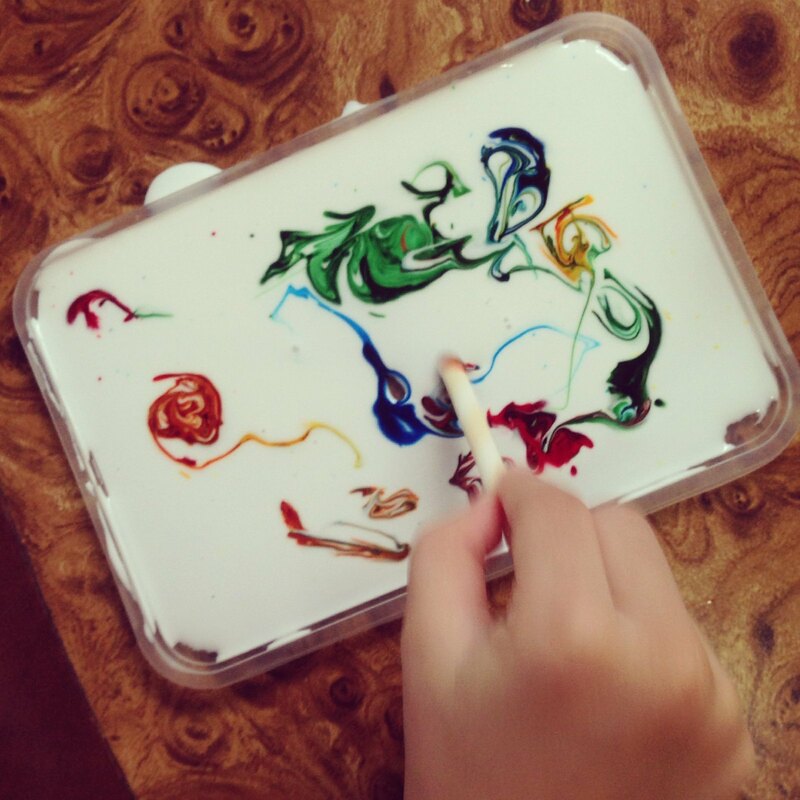 While both my kids have learned a lot of things from the apps in the iPad, it's through active sensory play when all their five senses are awakened to discover and learn the world around them. My kids would always have playground time in the afternoon after their nap, they take their scooters, toys or sometimes play bubbles with their friends at the playground. Y at Intramuros Pasyal last year. 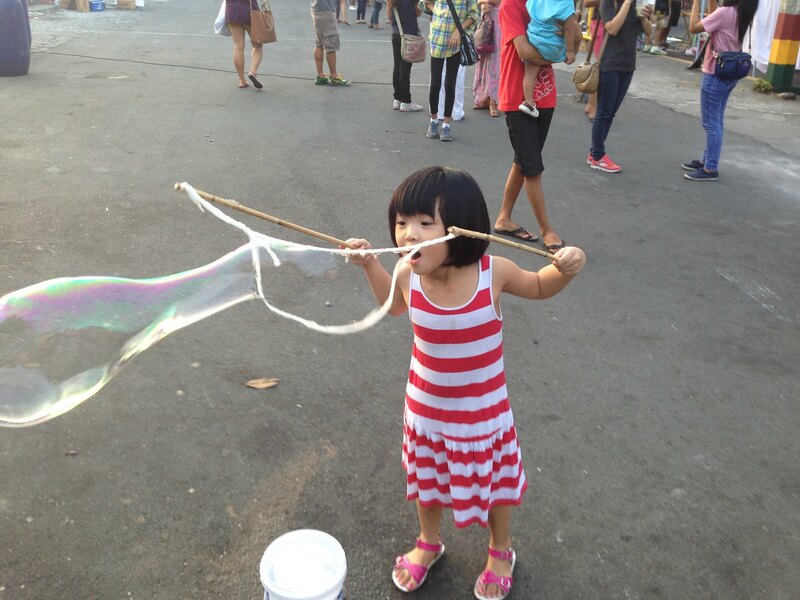 Big Happy Bubbles! Science and play. 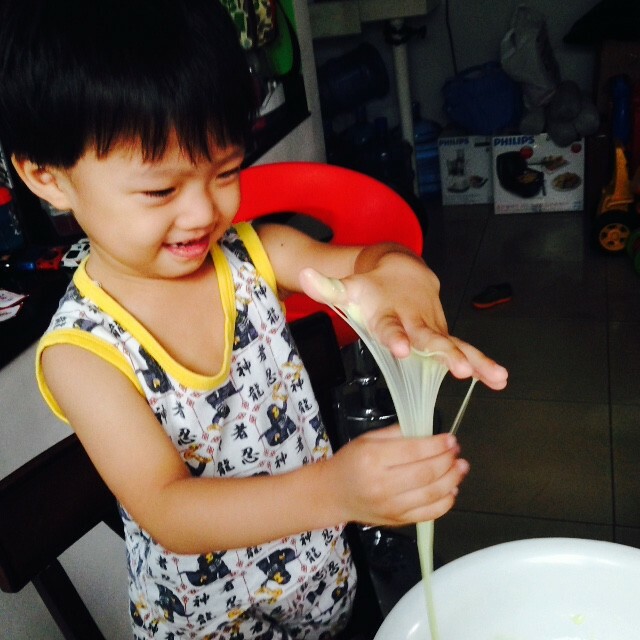 Making Ooey Gooey slime with EFK's Chemical Engineering Kit! Playing with glue and food coloring! 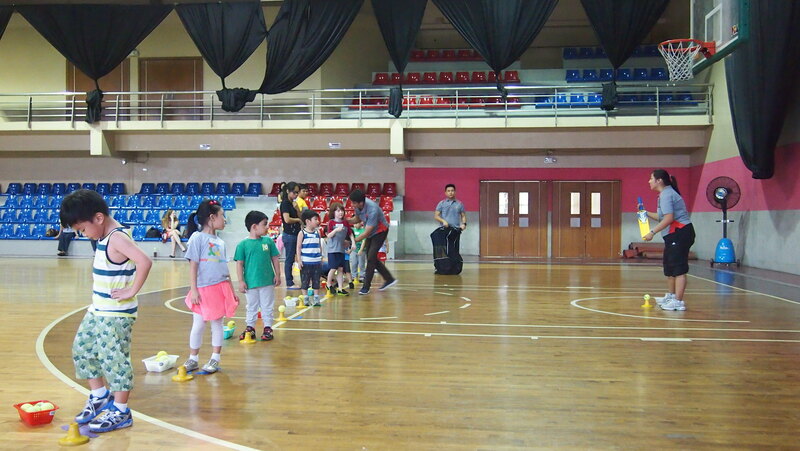 The different sports she learned at RSGK improved her fine motor skills, built her confidence and interest in sports. I have to admit though that the only "active play" they have the most is their playground time. 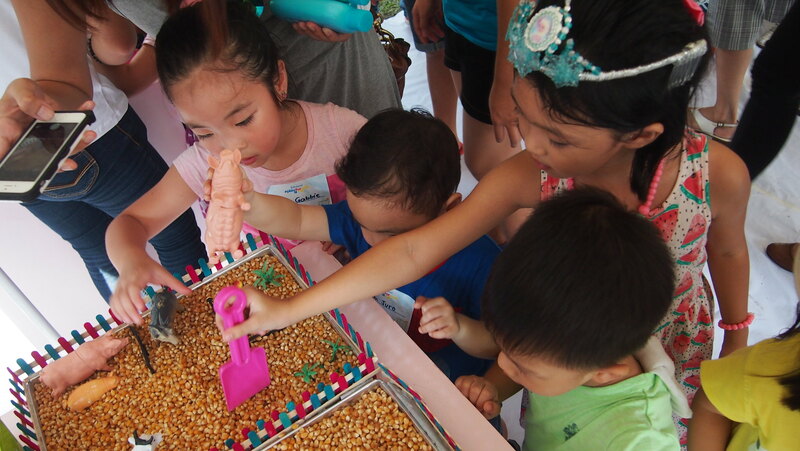 We had summer activities at home, out of town trips, and Y was enrolled in RSGK for three months but I'm happy the kids got to experience more of sensory play activities outdoor two weeks ago at the Johnson's Play For Real event. Johnson's Baby is committed to a happy and healthy child development. “Active play is integral and essential in the holistic development of children to let them discover the world around them. As a brand, this is something we would like to keep reminding parents of. 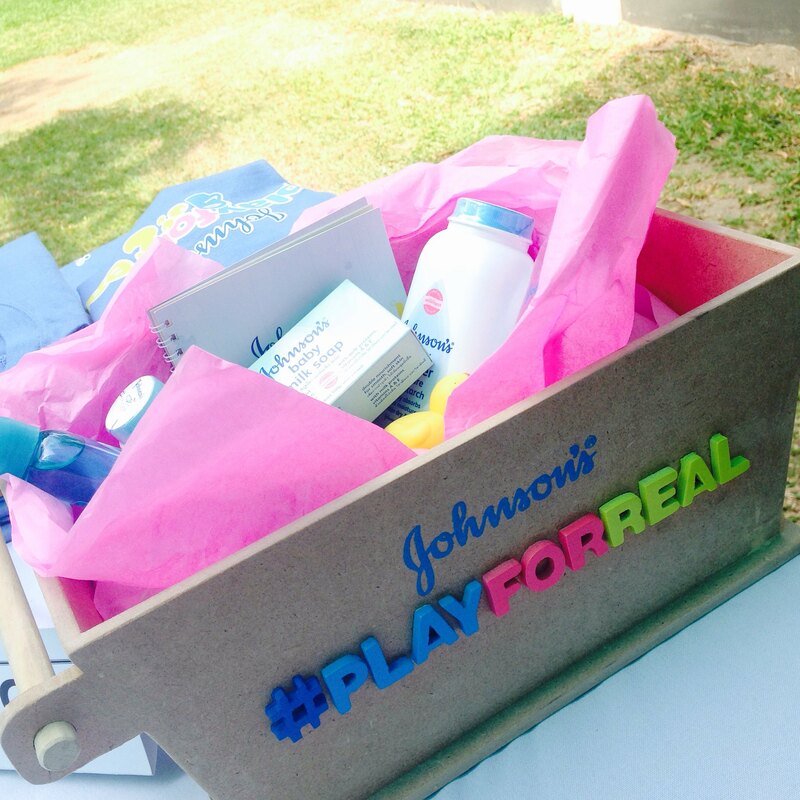 With the information and products we offer, parents can let their children turn playtime to a time of learning while they #playforreal. 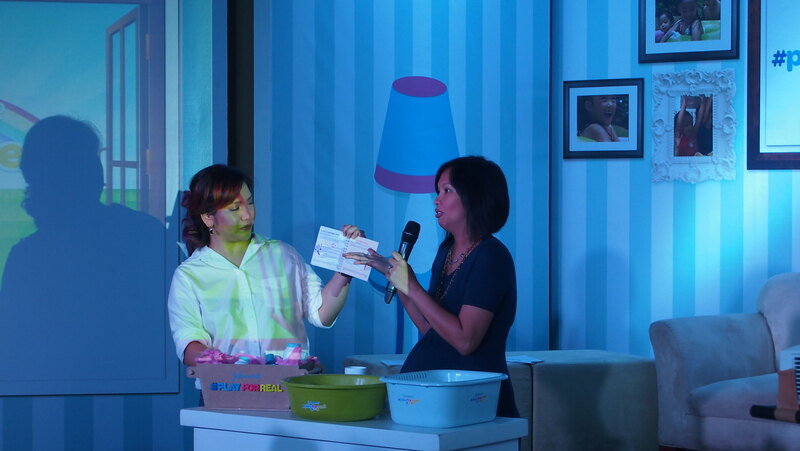 ” says Trina Tanlapco, Johnson’s Associate Marketing Director. Here's a video showing how moms reacted when they took away their kids's gadgets and let them play for real! 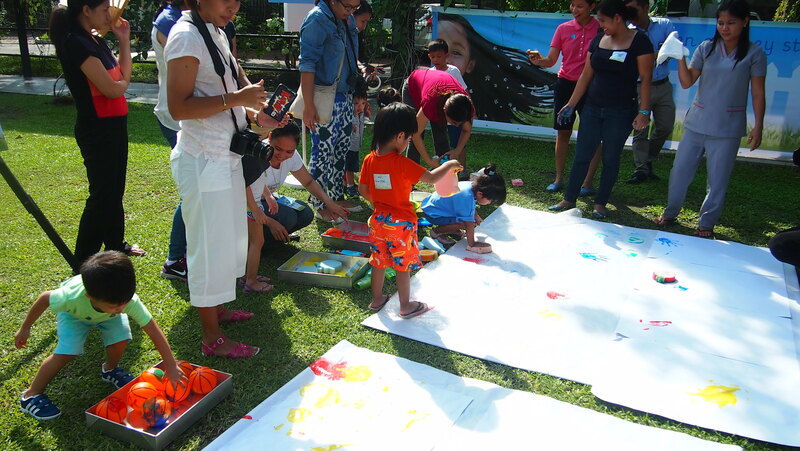 Johnson's Baby turned the North Greenhills playground into a big sensorial playground with a lot of activities for the kids. I think both the kids and adult enjoyed every minute of it! The farming box was a hit! R kept on digging and digging. 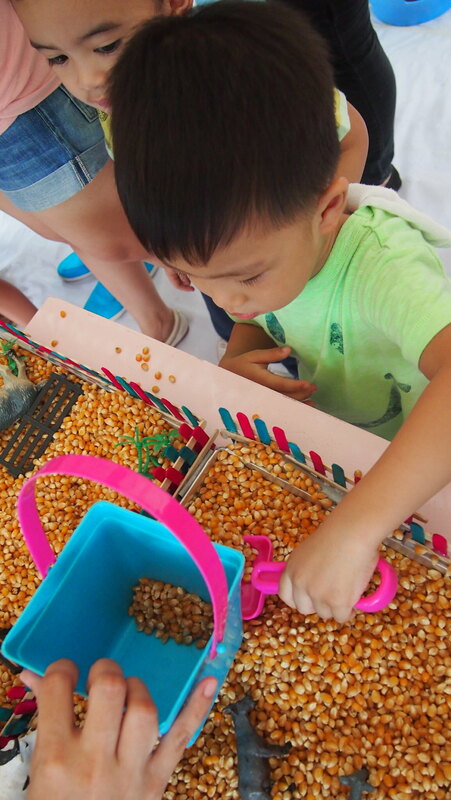 and he also liked to transfer the kernels to the bucket! While Y digs up and search for hidden things in this box of soil. 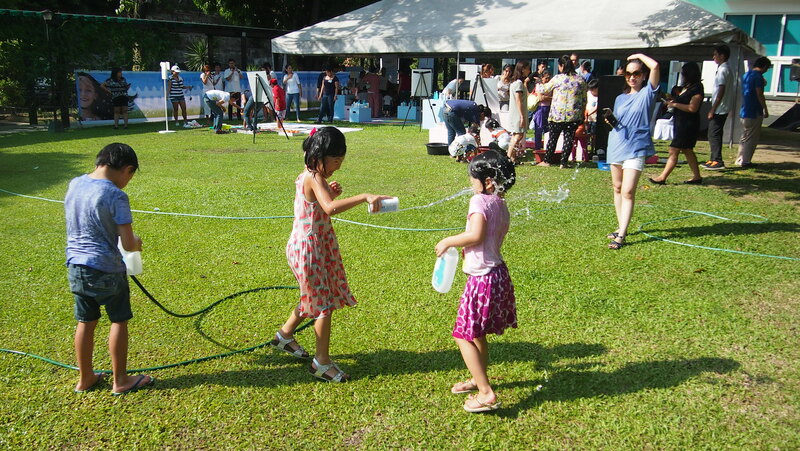 And water is always fun for the kids! My kids can stay all day in the bathroom in the tub. They think it's a small swimming pool! Heehee! 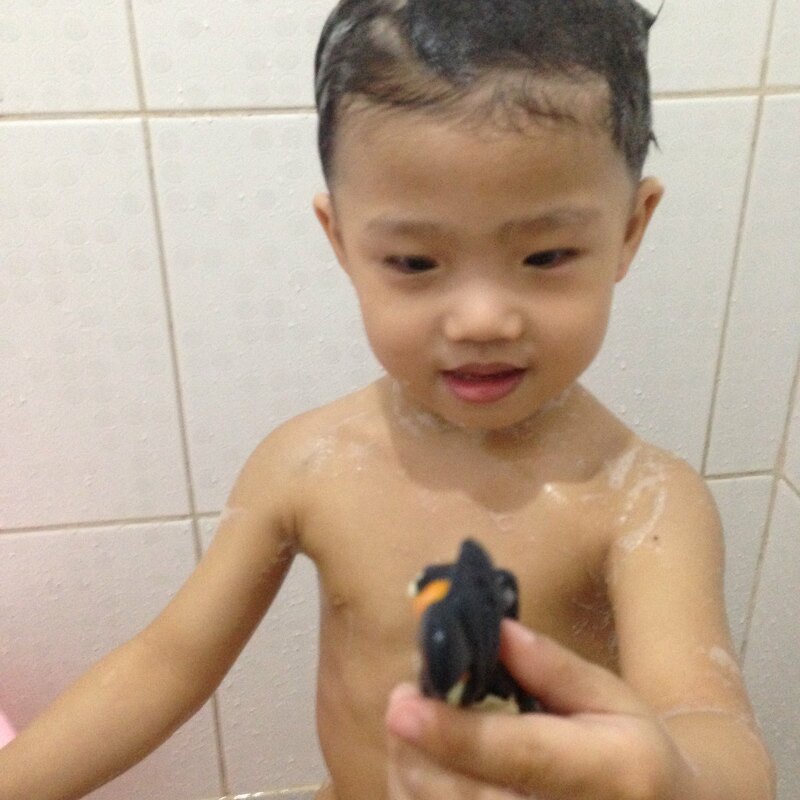 We have all sorts of toys so it's always fun even it's bath time! 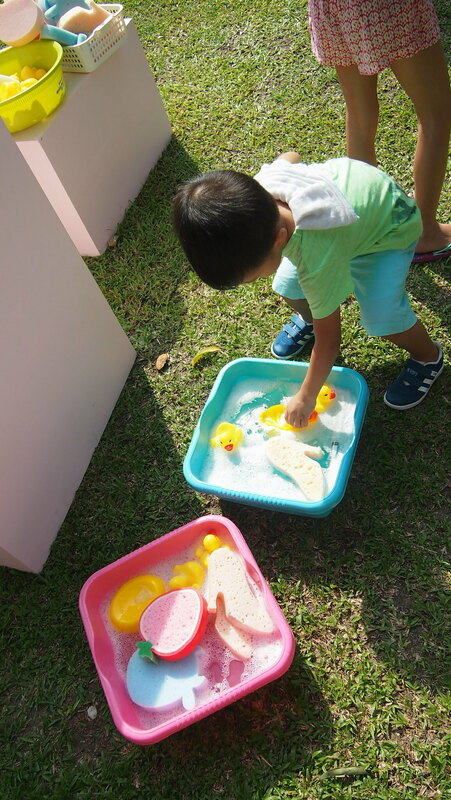 Sponges, rubber duckies, and lots and lots of bubbles are enough to make the kids busy, use their senses and learn a lot of things. How to get the water from one basin to another? This made Y think, she got a sponge brought it to the other basin then had an a-ha moment and squeezed it! Y enjoyed doing this activity! It's Play For Real at its finest! A big white canvass! R grabbed one ball and started rolling in on the paper. He does this with his cars at home. He uses the wheels to paint anything! 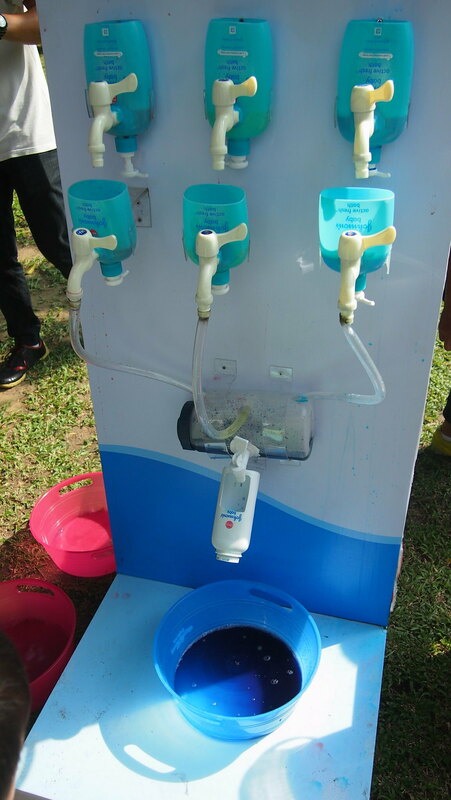 A lot of effort was put into this and I love how they recycle Johnson's Baby bottles and use them for this color mixing apparatus. 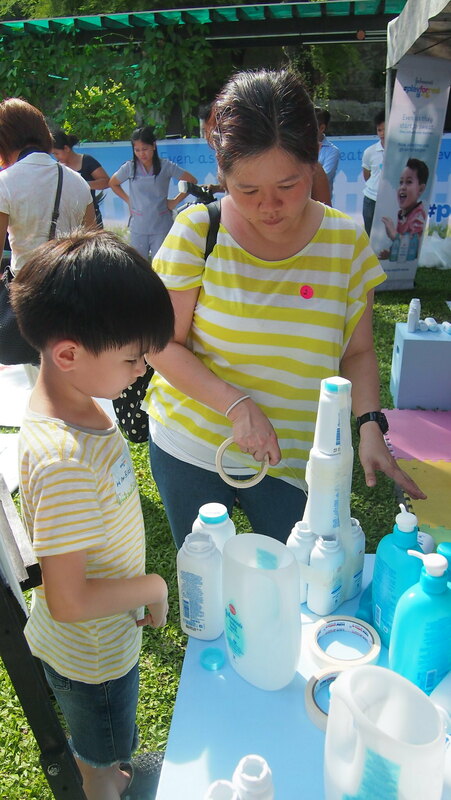 Right: Kaye with Riley making a rocket made of empty powder and bath soap bottles! 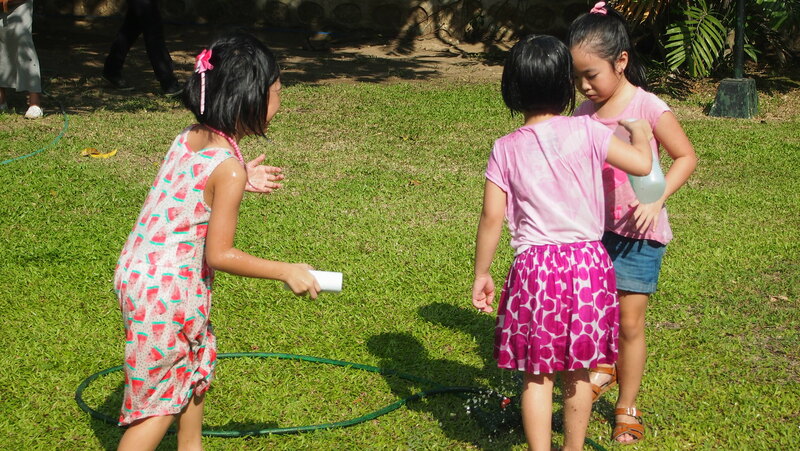 And when the water sprinklers were turned on, the kids washed off the soil, soap, paint on their hands then later on turned into a friendly water fight. 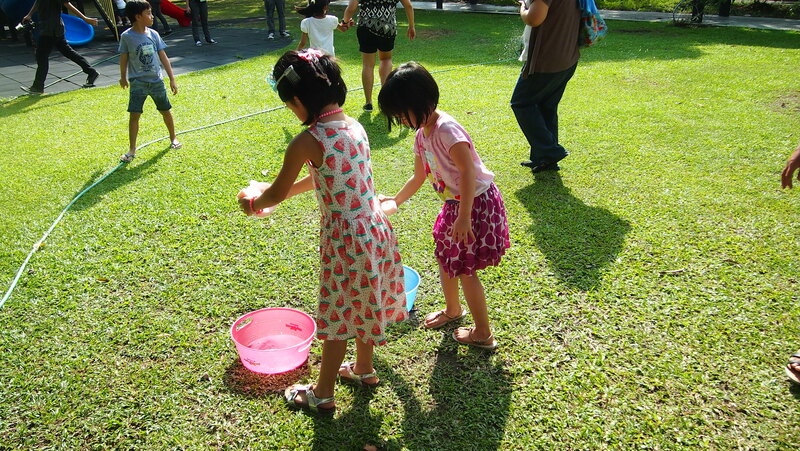 These girls were all happy and soaking wet by the end of the event! Y has been asking me when can we go back to the playground. Heehee! 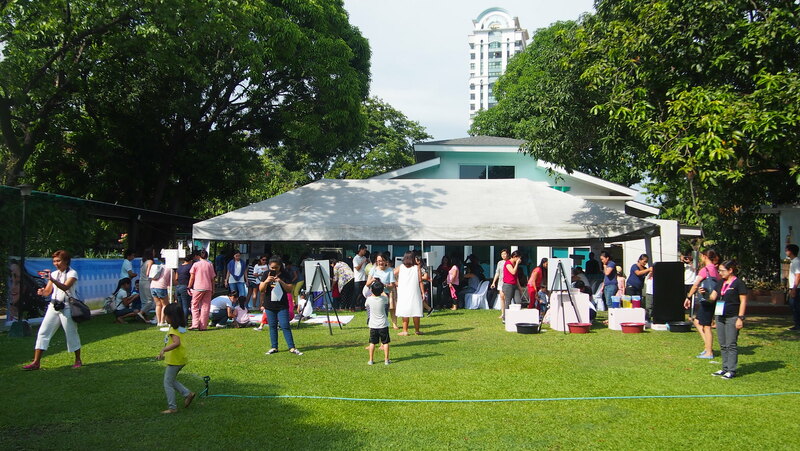 I therefore conclude that this is one of the best events that Y has been to. 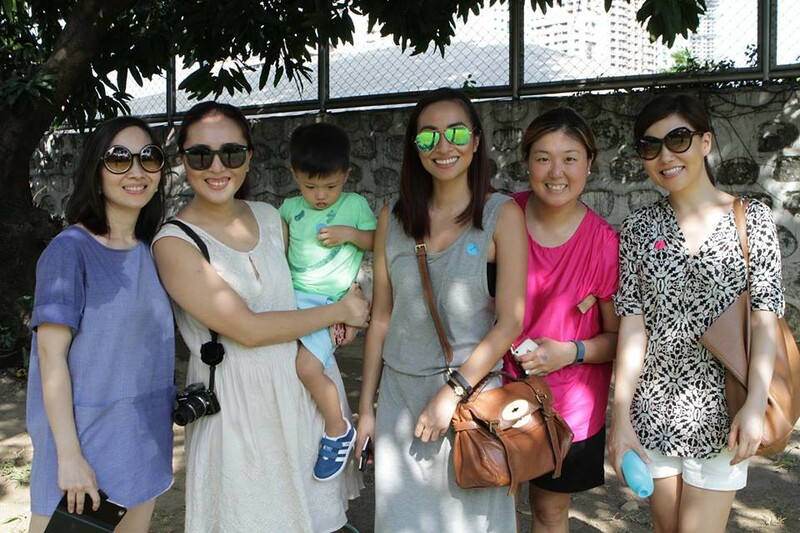 While the kids were having fun in the sun, the mommas (and Raizo, who doesn't want to get wet) stayed in the shade. For more of sensorial play we can do at home, Johnson's Baby has partnered with The Learning Basket and came up with a Play For Real Sensory Kit which contains all sorts of Johnson's Baby products and a booklet (of recipes) of different sensory activities we can make at home! Mariel of The Learning Basket explaining the different activities found in the kit. I love everything in this kit. 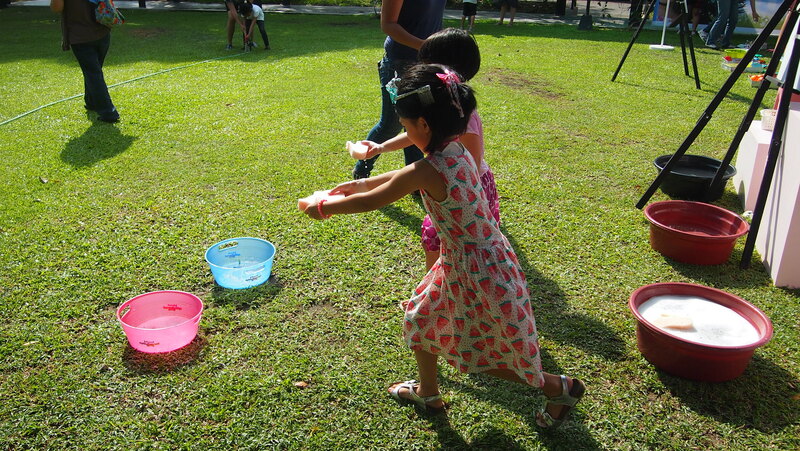 I promised the kids we will do one of the activities one of these days (when I have a helper na!). And while we can't do any of the activities from the sensorial kit now, I'll continue what we have been doing, fun bath time, playing Lego, and role playing in their play kitchen and more! 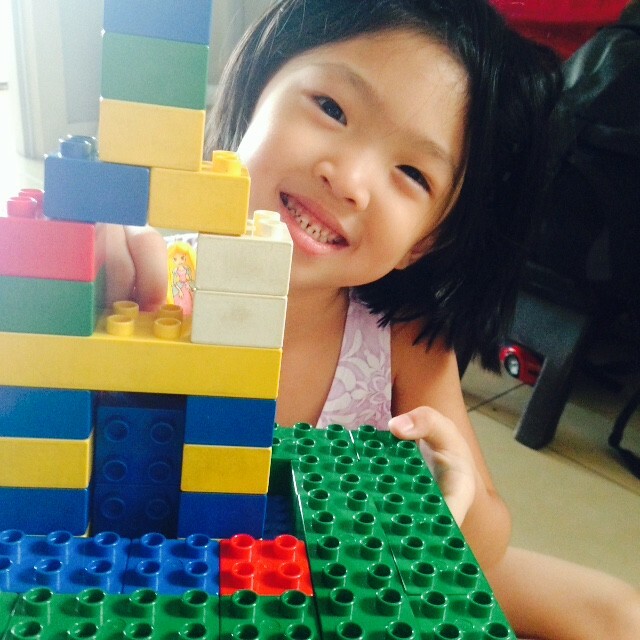 Don't forget to play with your kids because play time makes memories and can mean so much more! 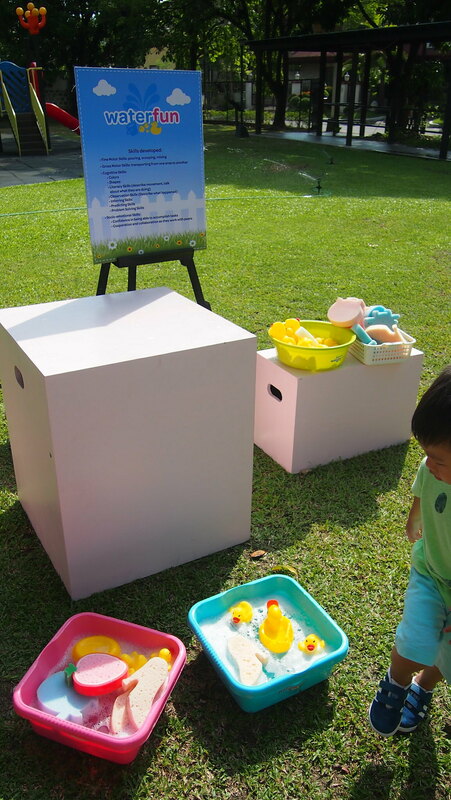 To learn more about how you can do sensory play at home or in your school, visit https://www.facebook.com/JohnsonsBabyPhilippines.